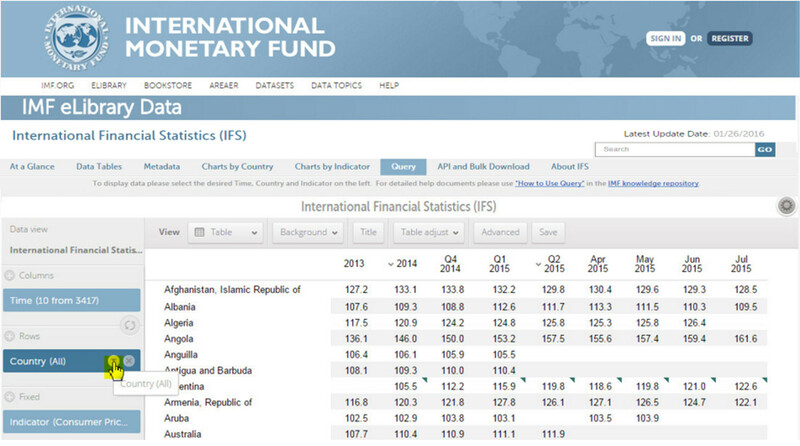 On left side, under �the Data View� pane, place your cursor over the �Country attribute. Thereafter, click on the filter icon, as shown below in yellow. If applicable, deselect all pre-selected countries/entities by clicking on None. Groups: provides a list of predetermined country grouping, for example,G20 or Regional Groups. 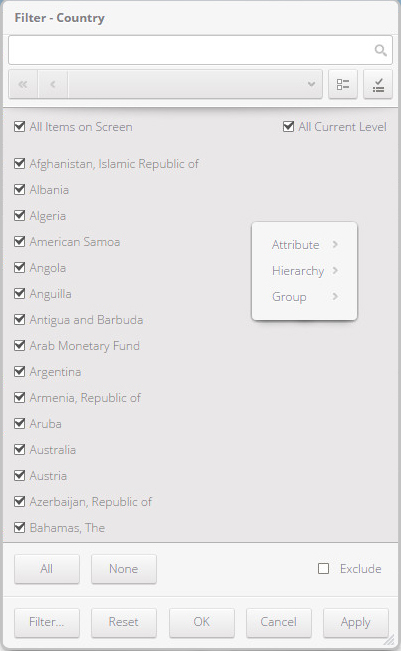 Users are able to use the ‘exclude’ option to filter out selected countries. Scroll through the Country list within the country filter and check/filled-in the spaces to indicate selection. Once all desired country(-ies) get selected, click on APPLY and OK.
Use the search box to quickly find countries.